When most people are taking out a mortgage on a property, they select either a 15 or 30 year mortgage loan. However, there is a new mortgage option that has been available to home owners since 2006 and that is the 50 year mortgage loan. Although a half-century might seem like a very long loan term, there can be some advantages to taking out a five-decade mortgage. Here are some of the pros and cons to taking out a mortgage that you repay over 50 years. 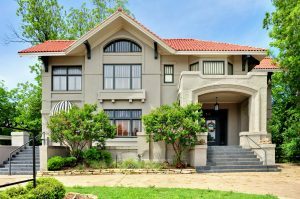 The main benefit that you will experience with a 50 year mortgage is the ability to take out a larger loan and buy a more expensive house that you might not have otherwise been able to afford. This means that you can enjoy a better standard of living with lower monthly payments. A 50 year mortgage might also make home ownership easier to qualify for as a first time homebuyer. On a monthly basis, it means that you will have more room in your budget for paying for other expenses. Of course, the major disadvantage to a 50 year mortgage is that you will end up paying much more interest over the loan period. Also, you will build equity in the home very slowly and you will not gain back much equity if you sell the home a few years on. Also, often 50 year mortgages will come with higher interest rates than their 30 year counterparts. You can usually expect to pay an extra 0.25% or more than you would if you took out a 30 year mortgage, which can really add up over time. 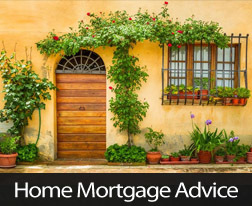 It might be advantageous to take a 50 year mortgage with low payments in the beginning, with the aim to refinance and reduce your term in the future when you are earning more money and can make higher mortgage payments. A 50 year mortgage can sometimes be advantageous, but ask yourself if you really want to wait until you are in your 70s or 80s before owning your home! If a 50 year mortgage is the only way you can afford your mortgage payments, you might be considering a home that is beyond your price range. To find out more about the right mortgage term for you on your property, call your trusted mortgage professional today. This entry was posted in Mortgage Tips and tagged Mortgage Tips,50 Year Mortgage,Home Buyer Tips by BJ Kirkpatrick. Bookmark the permalink.